Speaking at a briefing later on Thursday, Russian Foreign Ministry spokeswoman Maria Zakharova said Moscow would be preparing a response to "this unfriendly act" by the US. She did not elaborate. Ms Zakharova also accused the US of trying to "demonise" Russia. The attack prompted the UK and its Western allies to expel many Russian diplomats - and Russia retaliated with its own expulsions. UK Foreign Secretary Jeremy Hunt thanked the US on Thursday in a tweet. 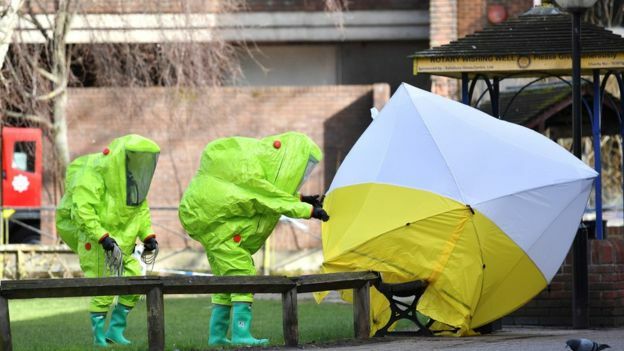 He said nerve agents and other "horrific" weapons must not become a new norm, and "states like Russia that use or condone their use need to know there is a price to pay". Russia has criticised the new US sanctions as "draconian". On Wednesday US state department spokeswoman Heather Nauert said it had been determined that Russia "has used chemical or biological weapons in violation of international law, or has used lethal chemical or biological weapons against its own nationals".